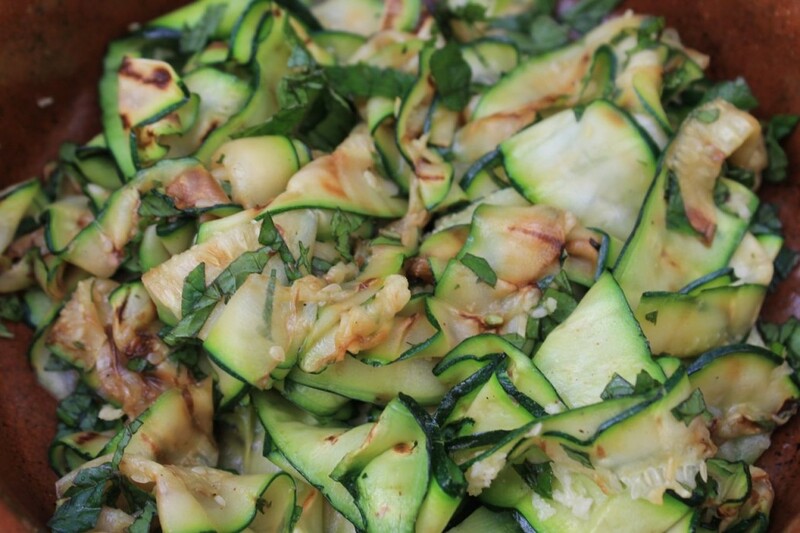 Courgettes are my favourite summer squash. 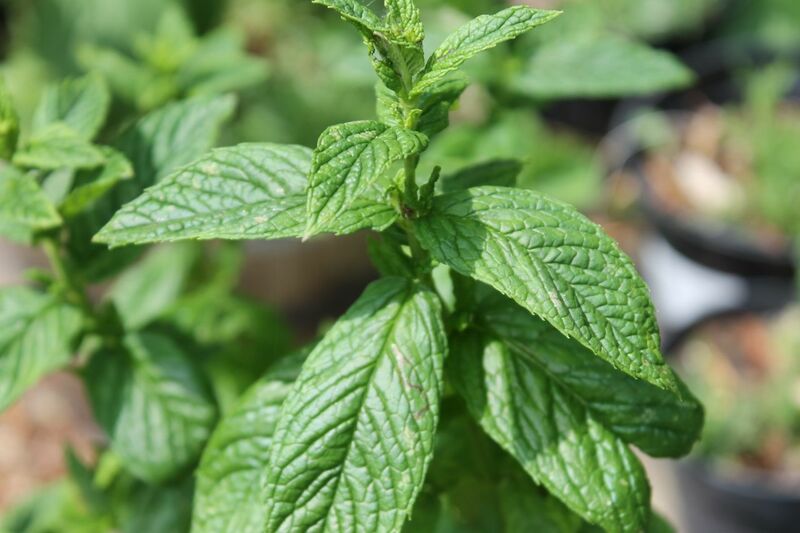 We grow some in the garden, though this year hasn’t been very prolific so far… On the other hand, our mint is doing brilliantly so as well as enjoying fresh mint tea, it ends up on our plate. I like making courgettes into raw noodles to use in fresh spring rolls or salads. They’re fun to make and so pretty. But my favourite way to enjoy courgettes is simply grilled. It only takes a few minutes on the griddle pan and taste delicious with a bit of extra virgin oil. This salad is very quick to assemble and often appears in my plate as part of my lunch. The mint adds some freshness and the pine nuts some welcome crunch. It’s great as a side dish for any BBQ. 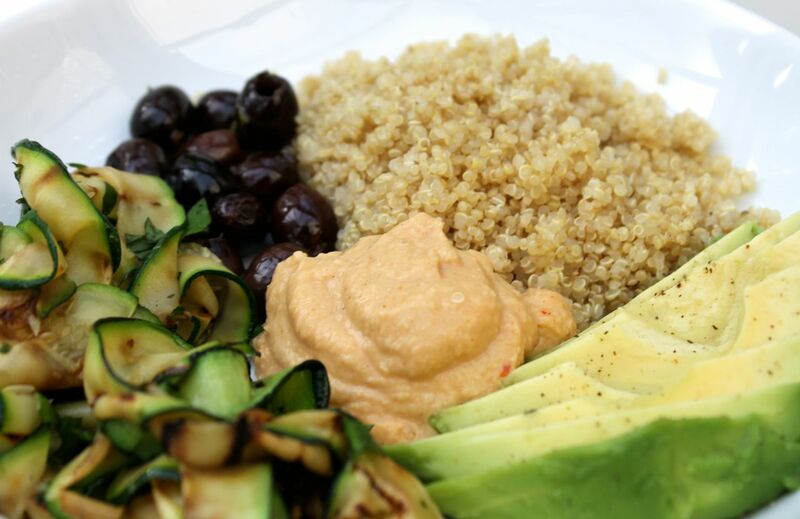 Add some avocado, olives and quinoa, spicy hummus and you have a delicious, fresh and nutrition meal. Slice the courgette lengthwise thinly. Use a mandoline or a a vegetable peeler. Pour the olive oil over the courgette slices and mix well. Heat a griddle pan until hot. Arrange the courgette slices on the pan making sure they do not overlap and cook on each side for a minute or so. Repeat the process until all the slices are cooked. Heat a pan and when hot, toast the pine nuts, taking care not to burn them. 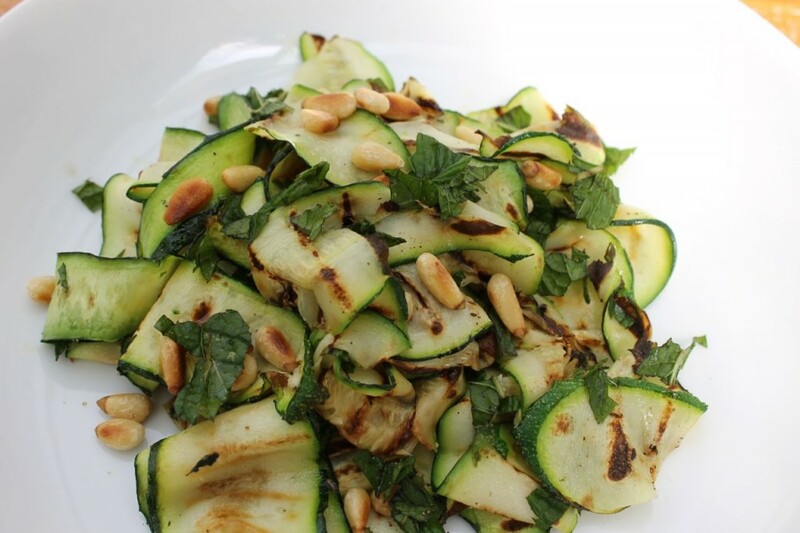 Transfer the courgettes and pine nuts to a bowl and mix in the garlic, mint and extra virgin olive oil if desire. Season with salt and pepper and enjoy.